Live Like Louis! 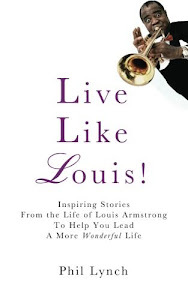 : LEAD A MORE WONDERFUL LIFE, with these stories from Louis Armstrong's joyful journey! LEAD A MORE WONDERFUL LIFE, with these stories from Louis Armstrong's joyful journey! 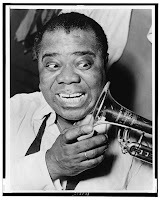 LOUIS ARMSTRONG: jazz genius, crossover media superstar, still one of the most recognized faces on the planet, and named by Time magazine as one of the 100 most influential people of the 20th century. Louis literally rose from rags to riches, from abject poverty to dining with royalty and having a recording placed in a NASA spacecraft leaving the solar system. More important than his achievements, however, is how Louis lived: joyfully, lovingly, constructively, leaving the world a better place. In Live Like Louis! psychology instructor and musician Phil Lynch offers helpful, inspiring stories of people and events from Louis's colorful life. With illustrations from behavioral science and success research, each chapter also includes a page of suggested practices for personal growth, plus recommended songs to enjoy on the companion website. Live Like Louis! will inspire you to live well, sharing joy and creating a more wonderful world.